The common belief about Capcom's Breath of Fire series is that it is the most run-of-mill classic JRPG series out there. Middle of the road. Unspectacular. It is the very definition of "solid" and can't be considered great because of how few boundaries it pushes. There is some truth to this argument. By and large, the series has always strictly stuck to a very traditional formula of gathering together a team of misfits and charging through a world saving quest while taking to turn-based fighting and learning new attacks. Very unspectacular mechanics keep it back from gracing the A-list. But this is JRPG territory we are in, and gameplay is only a small part of the equation. If you look beyond Breath of Fire's deep conservative roots, you will find great music, excellent art, fun characters, and most importantly, a glorious culture that carries itself consistently through four games, a feat not even Konami's beloved Suikoden series can attest to. For the purposes of this review, we will consider "the series" to be Breath of Fire I-IV. Breath of Fire: Dragon Quarter is an interesting game, but we will push it off to the side for now as "something else." Breath of Fire IV might be the last game released in the series, but it takes place first in a long canonical arc which spans thousands of years. The series is best known for its recurring hero, Ryu, who is a God re-incarnated as a boy with blue hair. Each incarnation appears when the world is on the brink of disaster, and he must solve his amnesia and control his dragon morphing abilities to save civilization from its cruel deities. What is civilization in the Breath of Fire games? Cities and tribes are defined by kingdoms and their rulers, but they are further broken down into many races of anthropomorphic beings. Yes, humans exist in this world, but so do frog people, cat people, dog people, monkey people, fish people, plant people and even armadillo people. Millions of years of evolution have occurred in this world, and each race separates itself based on the species of their ancestors. Breath of Fire IV continues the established roles each of these races play from game to game. Armadillo people do heavy work. Monkey people cause mischief. Fish people are merchants for whatever reason. The winged bird people set themselves high up as royalty. It's a small compliment, but it goes a long way in showing how Capcom had followed a detailed plan for this world for so long. The world has been torn apart by a war. The Eastern Empire and Western Kingdoms find themselves in a shaky truce while a desert slowly consumes their lands. Ryu is born once again as a mute in front of the winged Princess Nina, another recurring re-incarnated character appearing in every game. She employs him to join her and the Worent chief, Cray, in a search for the lost princess of the Western Kingdom. However, dragons have been acting up recently, igniting fears that trouble will once again be brewing throughout the land. Breath of Fire IV's world is one of faint hope and despair. Many have been killed in the fighting, and the remaining population clings to whatever they can to keep their civilizations alive. Cities are crumbling to the stress of sandstorms. Royals continue their political games despite the suffering of the people. Towns are slowly overtaken by deserts, and sandgliders break with more and more frequency, leading to massive ship graveyards. The purpose of Breath of Fire IV is to show how it all started. This is the first game in the canon showing the fates of beings we have only heard of in tales in the other games. Dragons are seen as Gods, but they are not yet extinct. The powerful cat-like Worent tribe has not yet been eradicated. Even the desert itself has played a huge role over the series, with Ryu and his companions traversing its perilous boundaries in each game. More fittingly with the game's long term themes it the duality seen between Ryu and another person. 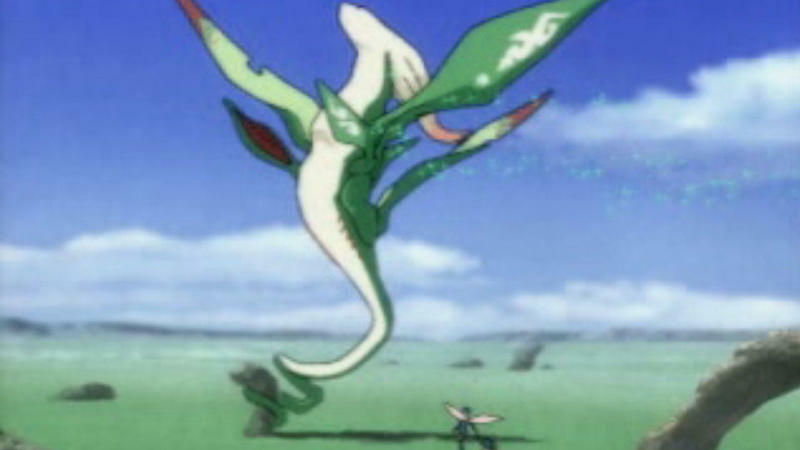 The series has always seen him subconsciously interact with another being somewhere in the world, generally another member of the extinct dragon clan. This Ryu interacts with Fou-Lu, the first emperor of the Eastern Empire and reincarnated Dragon out to reclaim his throne. 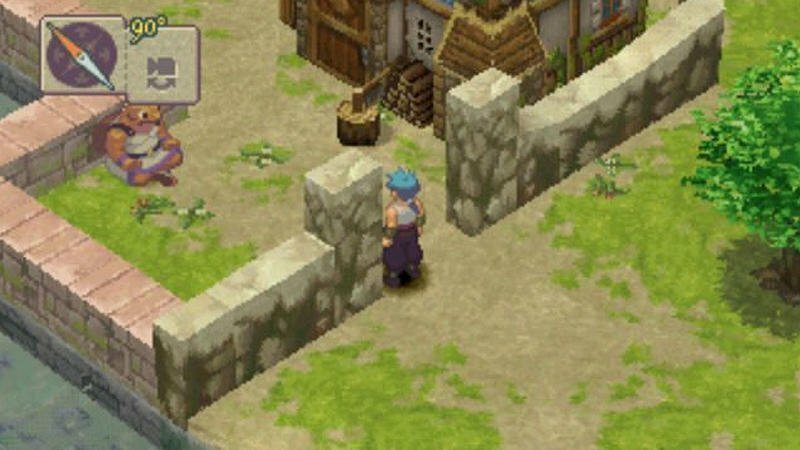 Staunch tradition carries over from game to game in the Breath of Fire series, and its fitting to see that it wraps itself not in the end, but rather in the beginning. Many games nowadays turn to origin stories and prequels for lazy storytelling and an easy continuation of the series, but very rarely does a prequel actually feel like it belongs in a canon. Breath of Fire IV does. Don't let the slip-shod localization get in the way of your enjoyment of this game. It is easily amongst the worst ever with Fu-Lou's dialogue sounding like cliche "thou art" medieval mumbo-jumbo, and even the battle voices and title screen haven't been translated. It's quite hideous really, and I'm a person who doesn't mind the occasional bad localization effort. Yes, the game does feature gameplay, too. Don't worry, I won't forget about that. As I mentioned before, the gameplay is cut and paste from game-to-game and is not the reason why fans jump back and experience them over and over. Breath of Fire IV tweaks the mold just enough to establish itself as different, and its popular character swapping battle mechanic would crop up in other more popular series in the future, most famously Final Fantasy X. 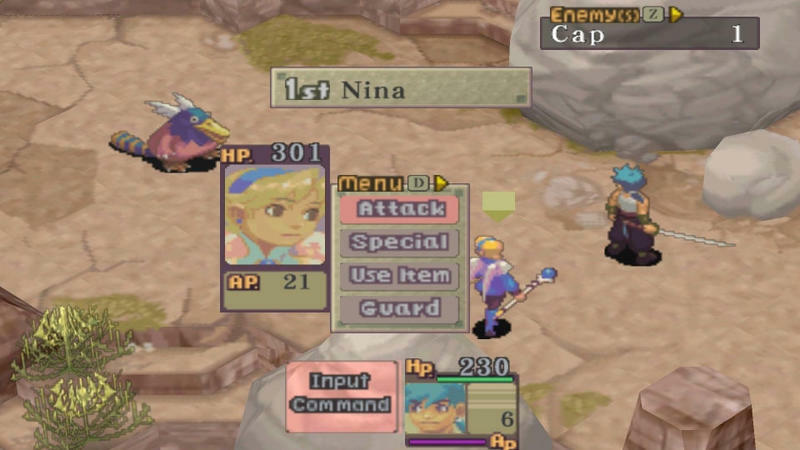 Parties in battle are limited to three characters on the screen at one time, but like Final Fantasy X, Breath of Fire IV allows you to rotate each character in and out on the fly, making your entire party available no matter the situation. Most RPGs have huge casts and can't exactly fit this idea. Instead of spreading itself thin with an overly large cast of underdeveloped weirdos, Breath of Fire IV instigated a small movement in the JRPG world which believed that less characters allows more focus and development on a select few. Beyond that, it's a straightforward march to the finish line. Side-quests are few and far between, and the odd mini game pops up more often than the average affair. Ryu continues his passion for fishing in this game, but most of the time spent will be gathering special moves from enemies and customizing your six available characters to maximum potential before the final confrontation, taking out random fights, dungeons, and boss encounters along the way. Those who live for this will eat this game up. Those who hate it will find nothing to change their minds. This is a clear cut JRPG all the way to the bone. 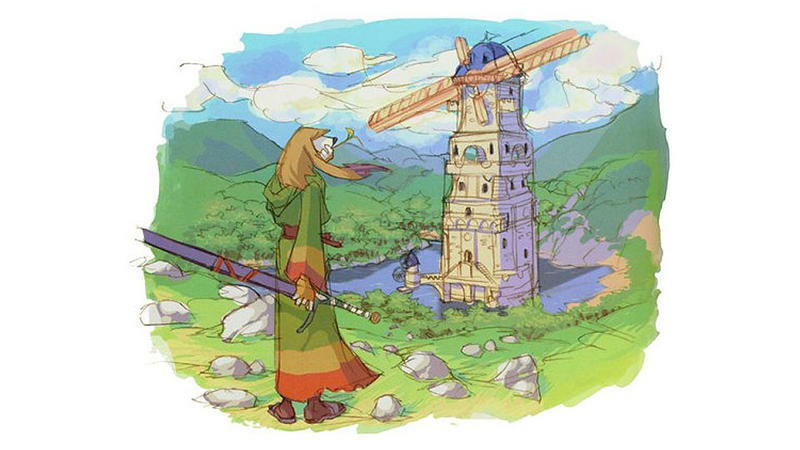 Breath of Fire IV sets itself apart through its clearly defined art style. Earth-tones are the nature of this beast. Browns, greens, and plenty of pale yellows and purples contrast heavily to the previous games. Not that the colors were any brighter since Breath of Fire is generally a darker series than most others in the genre, but Breath of Fire IV's dull pastels add an extra layer of exhaustion and desire for a better life to its style, which works in comparison to the game's story. Not the just art direction, but the graphical technology behind this game is worth a mention too. It's one of those rare late PlayStation games which successfully blends the 3D polygons of its worlds and monsters with 2D character sprites. The opening scene for the game left me breathless with how flawlessly, by its contemporary standards, the graphic designers were able to take two totally different styles of graphics and cram them into a single scene. Separated, the monster polygons might not have aged so gracefully, but the pixelated character sprites from the party and NPCs are second to none on the PlayStation, and that is a compliment I don't throw out lightly. Ryu and friends are gorgeously animated from head to toe, each with very subtle gestures in animation that only the later technology of the PlayStation could provide. The big question is where does Capcom go with the franchise? It already has a winner of a dragon-themed RPG in Dragon's Dogma, so many fans are left fearing that the series will be abandoned forever. In the grand scheme of it all, Breath of Fire has only sold 3 million games over five entries, and Dragon's Dogma alone cleared the 1 million mark after only a month on the market. 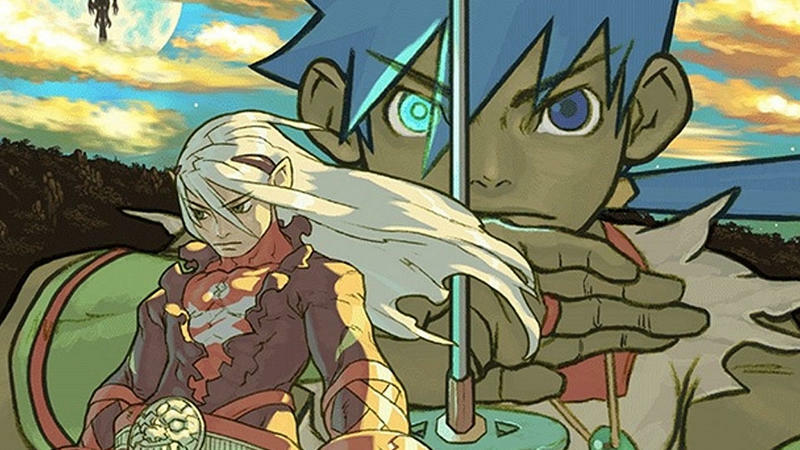 Unless Capcom can gather together a talented group of developers to hammer out one amazing Nintendo 3DS game, which is what I am positive most fans would prefer to see, the dreaded future of Breath of Fire VI being announced as a mobile social RPG could be the only incarnation of Ryu we ever see again. 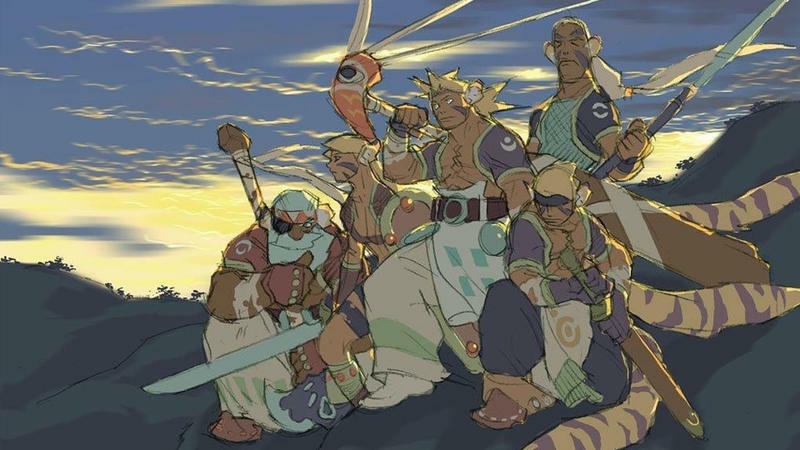 Given Capcom's recent struggles to honor its history during this huge shake-up it finds itself in, I'd say we'd be very lucky if Breath of Fire ever raised its head again in its original form. It's a shame to be sure, but if Breath of Fire IV is the game to close the book on the traditional series, then it was a good choice indeed. This game is a classic and stands as a prime example of how JRPGs used to dominate the world, and a great example of how to create a continuous universe with brilliant self-contained stories. More developers should study the detail put into this series before creating their own worlds, especially all those upcoming indie developers out to create their own RPGs through Kickstarter. It is available only for $5.99 on the PlayStation Store, like most non-Squaresoft RPGs, and it is a steal as well for the game. Don't be expecting Breath of Fire III to turn up on the service since Capcom already has said there are copyright issues regarding the sprites. Sony turning the game down on several occasions doesn't inspire much hope, either. The best way to play that one is through the PSP, and you can import the European one easily as the system is region free. All four games can be enjoyed in order, and I recommend those who try to do so. As a long time fan, it's nice to finally have the book closed on the series, and I am more than happy if these four games keep themselves intact as one of gaming's most consistent and solid narratives ever told.